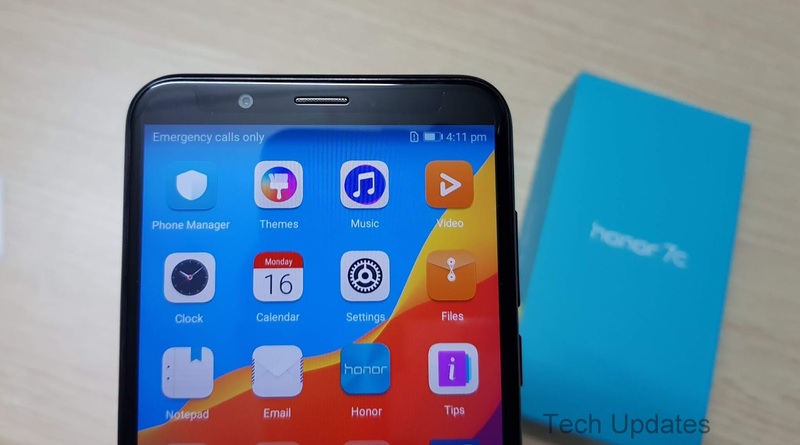 Honor launched Honor 7A and Honor 7C Smartphones in India. We have Honor 7C 3GB RAM variant which cost Rs 9,999. 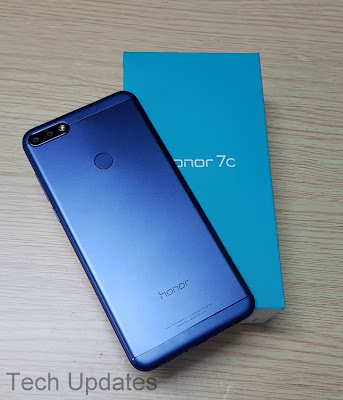 Here's Honor 7C India Retail Unit Unboxing & Photo Gallery. Box Content Includes Phone, Screen protector applied, Quick Start guide, warranty information, 2 Pin wall charger 5V 2A, MicroUSB cable, SIM Tool. 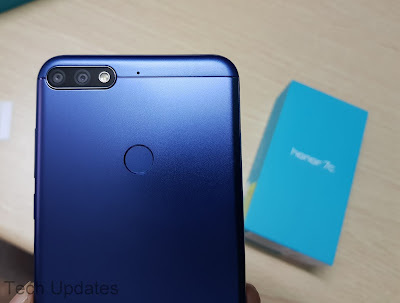 Honor 7C has a Metal body, Fingerprint Scanner on the Rear, It has a 5.99-inch (1440 x 720 pixels) 18:9 HD+ display which is protected by 2.5D curved glass, On the front there is sensors, earpiece, front-facing camera below the display it has an On-Screen buttons, Power button and volume rockers on right, SIM slot on left which has support for dedicated MicroSD Card slot along with Dual Nano SIM. On top there is nothing. 3.5mm Audio Jack, Micro USB port, Speaker grill present on the bottom. 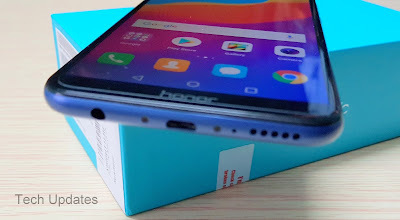 On The Rear It has a Dual Rear Camera with LED Flash below there is Fingerprint Scanner and Honor branding, Top and the bottom part is made up of plastic. The back panel has curved edges which give good grip in the hand. The phone measures 158.3 x 76.7 x 7.8mm and Weight: 164g can be used in Single. It comes with 3000mAh battery and does not support fast charge. Honor 7C is powered by 1.8GHz Octa-Core Snapdragon 450 14nm Mobile Platform with Adreno 506 GPU. 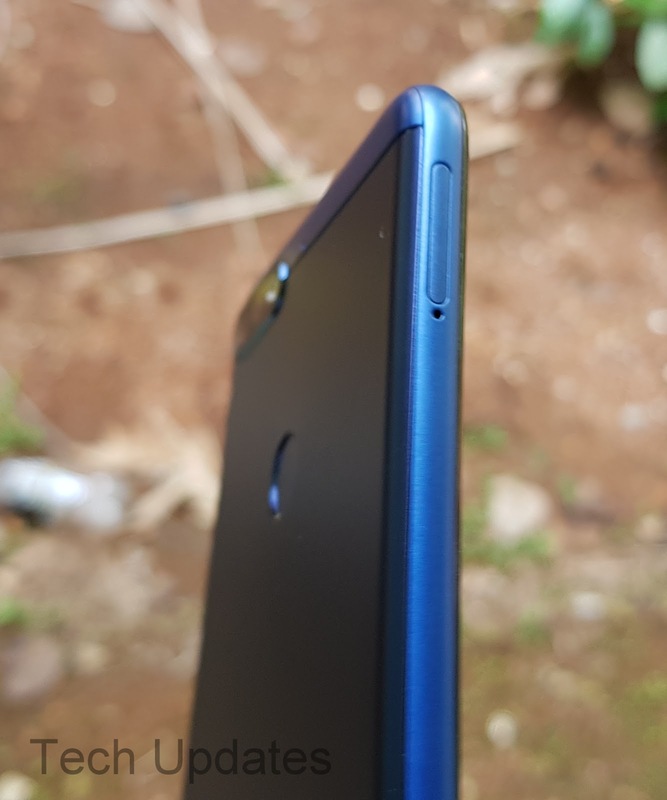 It comes with 3GB RAM with 32GB internal storage, 4GB RAM with 64GB storage, expandable memory up to 256GB with microSD. Out of 32GB around 23GB is available for the user. On Camera, it has a 13MP rear camera with LED flash, secondary 2MP camera and 8MP front-facing camera with LED flash. Rear Camera can record videos up to FHD whereas front camera can record HD Videos. 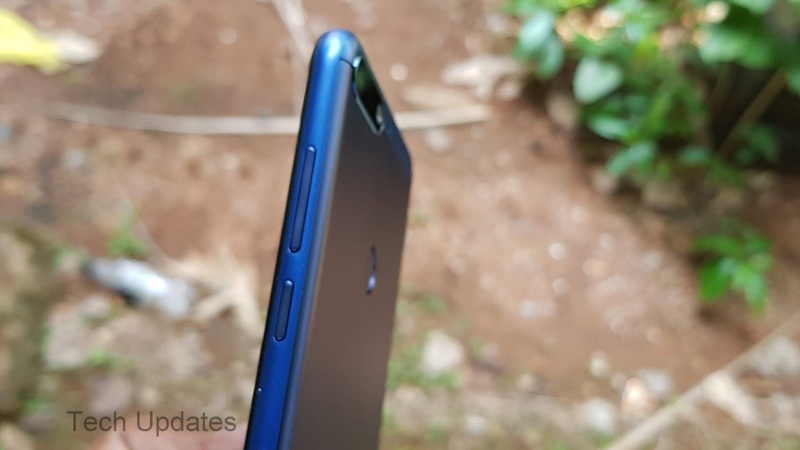 Camera mode includes HDR, panorama, Watermark, Food, Video Mode. The front camera does not have support for depth mode. Connectivity options include 4G VoLTE, Wi-Fi 802.11 b/g/n, Bluetooth 4.2, GPS + GLONASS. It does not have support for Dual 4G VoLTE. 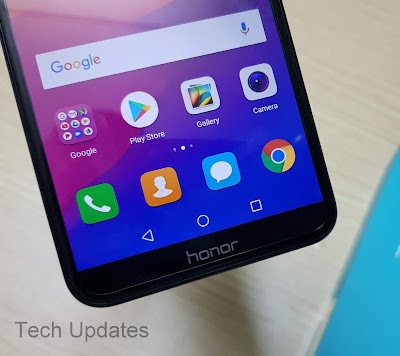 Honor 7C comes with a lot of preloaded apps like Instagram, Facebook, True caller, Netflix, UC Browser also there are few games. There is also Ride Mode. Honor 7C comes in black blue and gold color. Rs 9,999 for 3GB RAM and Rs 11,999 for 4GB RAM. It offers Android Oreo, Dual Rear Camera, Dedicated MicroSD card slot comes with HD+ Display, Snapdragon 450 Processor there is Redmi Note 5 which comes with FHD+ Display, Bigger battery, Snapdragon 625 processor lacks Dual Rear Camera.